The Rock is a legend. He's on top of the world right now, as we've seen that he's been making major moves and having successful films, but the truth of the matter is, The Rock is still known more for being the Most Electrifying Man In Sports Entertainment overall. I wanted to take a look back at one of the most important pieces of the Attitude Era, and what better way to do that than to look back at The Rock at Wrestlemania. 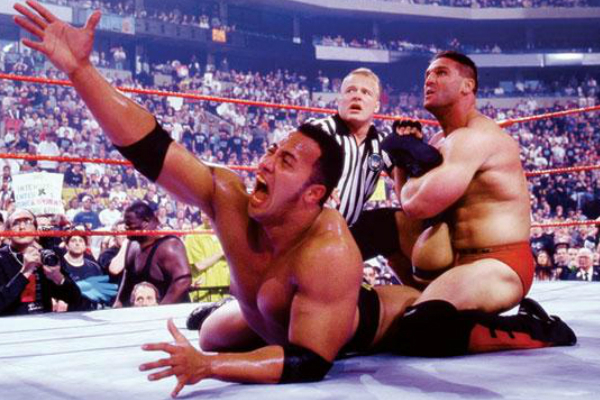 Let's take a look at The Rock's Wrestlemania matches and rank them from worst to best. Which match ranks at no. 1? Find out. -Easily the worst of the worst, this match was honestly one of the worst matches on the Wrestlemania 13 card, which wasn't a solid event in its own right. 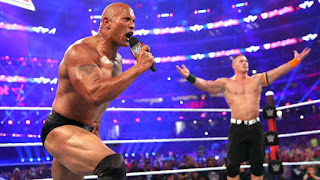 This match featured Rock with his father by his side, a cheap attempt to get him more over using his family and despite Rock winning this match, it sticks out in a bad way in his arsenal of Mania matches. -The match that no one wanted. The rematch that has no purpose. This was a horrible main event and honestly, the more I think about it, the stranger it becomes. Cena vs Rock 1 was actually pretty damn good. The second was not needed. Yet, we got another match between the two. That was worse than the first. With all of the nonsense between the two prior to this match, and an unnecessary amount of finishers used in this match, this bout fell short of any expectations and Cena winning was just horrible to watch. 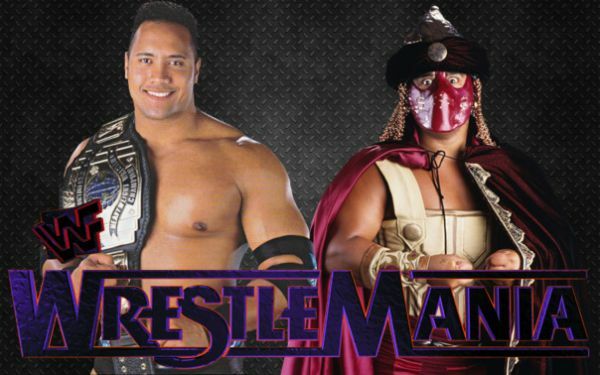 -Wrestlemania is a great time for many of the WWE fans, but one if the most interesting main events in Mania history remains this overly ambitious Fatal Four Way match with a McMahon in each corner and each man having to be eliminated. This match drags on and on, with the action picking up more when it was just Rock and Triple H at the end. The swerve at the end was predictable and the ending was pretty subpar. Triple H retains his title, but honestly, this match could have been so much better. The Rock should have won also. Clearly. -In his prime, Rock was a beast on the mic and one of the most enjoyable stars to watch on WWF programming. His promo before this match is iconic, but the match itself wasn't anything special. Rock and Shamrock had a solid feud and this match was essentially the final chapter of that particular feud. It was solid, but the ending was a bit underwhelming, which is why it is listed here a bit lower. -I like this match a lot and I think it's underrated in terms of the Mania matches that Rock took part in. The chemistry in this match was pretty good, but the main story being built here was the eventual Foley vs Orton match that would come the following month. I think Rock served his purpose and his involvement gave us all the things we love about his matches. However, it would end up with Evolution as the victors and Orton getting the pinfall over Foley. Still, this was a prime entertaining match that might be a top 3 match at Mania 20. It might be. -The first of the greatest trilogy in Mania history is a good match, but it pales in comparison to the other two matches. Still, this is the most traditional of the matches between the two, as Austin came in as the face looking to reclaim his title, and Rock was the top heel in the game, looking to defend his title. Rock and Austin would go at it with Mankind being a part of the match as an official, and he added a little bit of an extra element when you think about the interferences and the no DQ rule implemented. Austin picks up the win, but Rock put in a great performance in a losing effort and though I don't think is an actual classic, it is a very good match. -This should have been a once in a lifetime match. It really should have. The hype surrounding this match was absolutely special and it felt like a classic in the making with a big fight feel. Cena played the role of the heel in front of the Miami crowd and Rock actually seemed like he was able to keep and executed some solid work throughout, but Cena did most of the heavy lifting. Rock kept up and as a result, this match had the crowd invested, up until the final moment where Rock leapt up, hit the Rock Bottom, and picked up the victory. 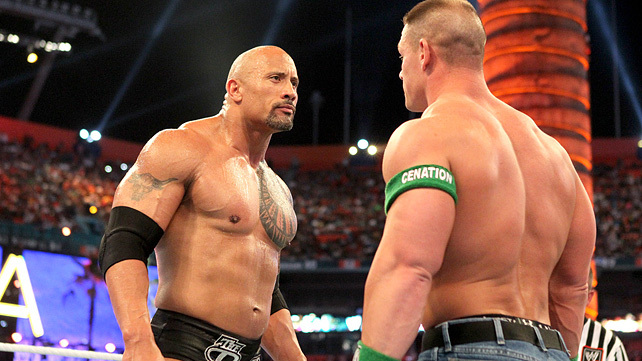 Some didn't like this match but I thought it was a solid contest and one of the best matches for Rock at Mania. It's close to a classic IMO, but falls just a bit short of that mark. -While not the greatest match overall, this contest was a once in a lifetime match that felt like one of the biggest matches of all time. The return of Hulk Hogan was a huge deal, as the NWO making their mark on WWF was something to see. Hogan vs Rock was a legend vs legend, icon vs icon match and it was sold perfectly. In any other arena, this might have been a good match, but for the Toronto crowd, this was their main event. Rock and Hogan went at it, giving the crowd moments to stand up and cheer for, including a Hogan hulk up moment. Rock would rightfully win, and Hogan would shake his hand, ending the match on a higher note. It's a classic for so many reasons, though I would personally pick a few matches over it, but this is a top 3 Rock Mania match. It's important. -The last Austin match. A tough moment for fans. Rock was heading back to Hollywood and as a result, he had a few more matches on tap and Stone Cold was heading out the door. As a result, we would see Austin vs Rock to close out an excellent trilogy. Austin and Rock had a match that felt more emotional than anything they had put on before and as the match wore on, you knew what the end game was. 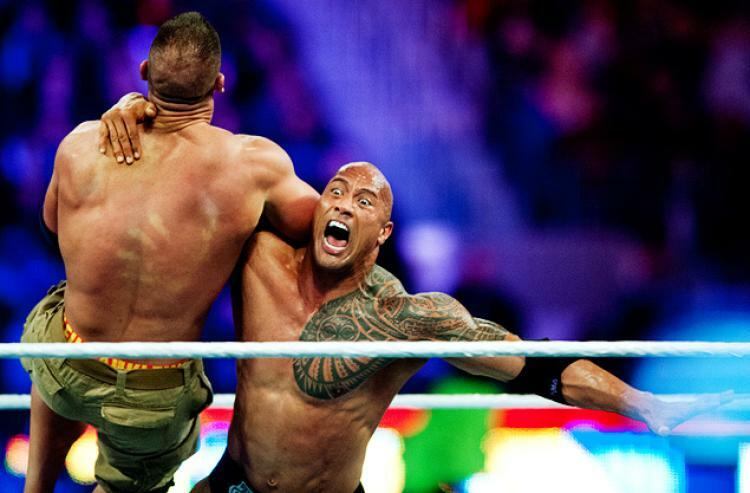 Rock had never defeated Austin at Mania and this was his mission. He would do so without an issue here, but it took three Rock bottoms to put Austin down for the three count. Still, as a final match for Austin and one of the last matches for Rock for years, this is a classic and despite not being the best of the trilogy, it's very close to it and is clearly the second best match between Austin and Rock. 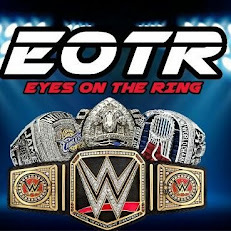 -The standard for Mania main events in all honesty. I love HBK vs Taker. I love Hogan vs Warrior. I love Hogan vs Andre. HBK vs Cena. I love Brock vs Angle. 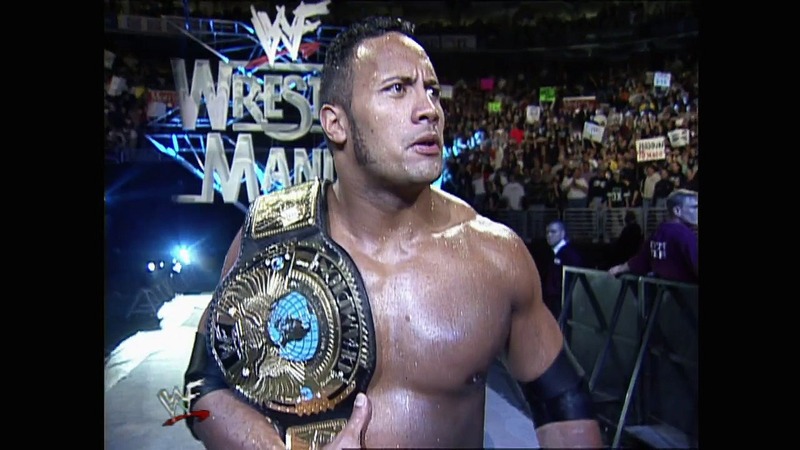 However, my favorite main event in Mania history remains Austin vs Rock at WM17. It was the biggest match ever. It was two stars in their prime going at it for the title. Everything was at stake. Rock was leaving to shoot a movie, but we didn't know that at the time. Austin was ready for a new change, but we didn't know that at the time. The match was no DQ, which came out of nowhere and in the hometown of Texas, Austin was the favored competitor. Fans liked Rock as well of course, as he was more popular than Austin in certain areas (the south loved Austin more, East Coast was split, West Coast loved Rock a bit more), but these two were basically neck and neck in terms of popularity. This was Austin returning to form after missing a year and winning the Rumble. After 30 minutes, Austin would turn heel with the help of Vince McMahon and win the WWF Title. Rock would lose, but the action here was so excellent that it didn't even matter. I will say I didn't like how Rock was booked, as kicking out of finishers and so many other big time moves was a bit of overkill, but still, the match is a classic. 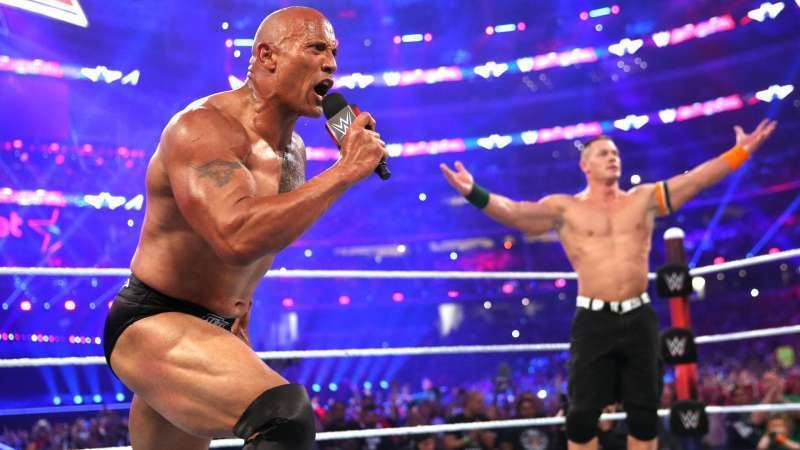 Austin vs Rock is one of the greatest feuds ever and this match is the best one between the two legends and easily the greatest Rock match at Mania.